USED: REMOVED FROM A CRACKED SCREEN TV. 100% FUNCTIONAL.Insignia/TCL 07-WM949B-ML0G Wi-Fi ModuleCOMP..
USED: REMOVED FROM A CRACKED SCREEN TV. 100% FUNCTIONAL.LG/Sanyo/TCL 34.29110.019 (TT5461B03-25-C-1)..
USED: REMOVED FROM A CRACKED SCREEN TV. 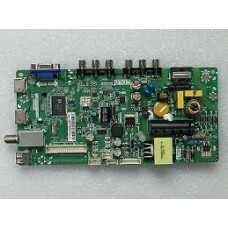 100% FUNCTIONAL.TCL MT3151A05-5-XC-5 T-con BoardCOMPATI..
USED: REMOVED FROM A CRACKED SCREEN TV. 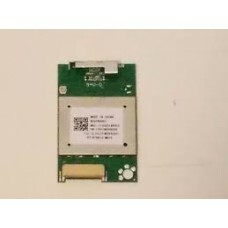 100% FUNCTIONAL.TCL 32S3800 Button Assembly 40-32S380-..
USED: REMOVED FROM A CRACKED SCREEN TV. 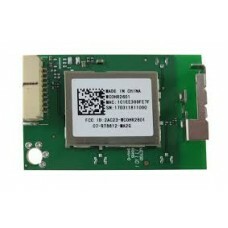 100% FUNCTIONAL.TCL 07-RT8812-MA2G Wi-Fi BoardCOMPATIBLE MOD..
USED: REMOVED FROM A CRACKED SCREEN TV. 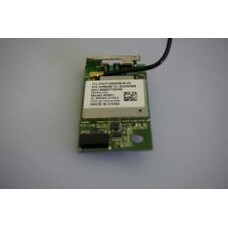 100% FUNCTIONAL.TCL 07-RT8812-MA2G Wi-Fi Wifi Wireless Inter..
USED: REMOVED FROM A CRACKED SCREEN TV. 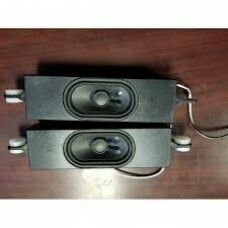 100% FUNCTIONAL.TCL 08-L141WA2-PW220AB Power SupplyCOMPATIBL..
USED: REMOVED FROM A CRACKED SCREEN TV. 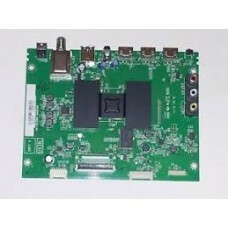 100% FUNCTIONAL.TCL 08-L141WA2-PW220AB Power Supply for 55S4..
USED: REMOVED FROM A CRACKED SCREEN TV. 100% FUNCTIONAL. 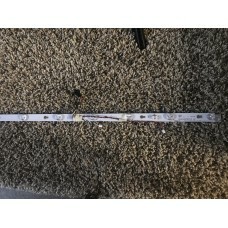 TCL 32B2800 LED Strip T0T_32-3X8-3030..
USED: REMOVED FROM A CRACKED SCREEN TV. 100% FUNCTIONAL. 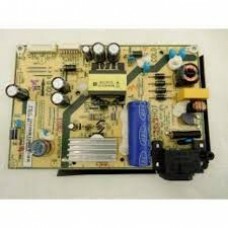 TCL 32B2800 Main Board / Power Supply..
USED: REMOVED FROM A CRACKED SCREEN TV. 100% FUNCTIONAL. 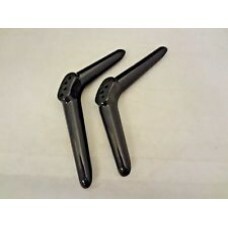 TCL 32B2800 Pedestal StandCOMPATIBLE ..
USED: REMOVED FROM A CRACKED SCREEN TV. 100% FUNCTIONAL. 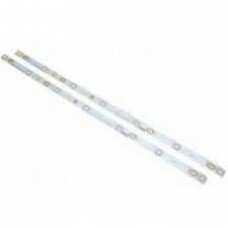 TCL 32HR330M07A2 LED Strips - 2 Strips..
USED: REMOVED FROM A CRACKED SCREEN TV. 100% FUNCTIONAL. 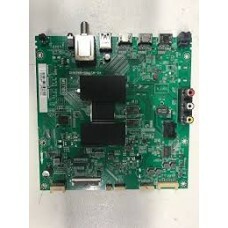 TCL 32S301 Internal set of speakrs 42-..
USED: REMOVED FROM A CRACKED SCREEN TV. 100% FUNCTIONAL. 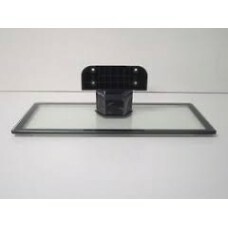 TCL 32S301 LED Backlight(2) T0T_32D290..
USED: REMOVED FROM A CRACKED SCREEN TV. 100% FUNCTIONAL. 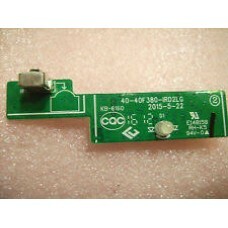 TCL 32S301 Power Supply PLE55-1C (81-P..
USED: REMOVED FROM A CRACKED SCREEN TV. 100% FUNCTIONAL. 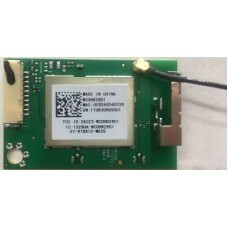 TCL 32S301 Wifi Module Board 07-RT8812..
USED: REMOVED FROM A CRACKED SCREEN TV. 100% FUNCTIONAL. 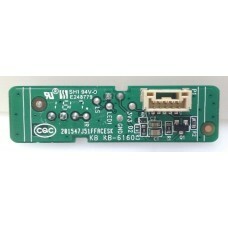 TCL 32S3750 IR Sensor Board 40-32S380-..
USED: REMOVED FROM A CRACKED SCREEN TV. 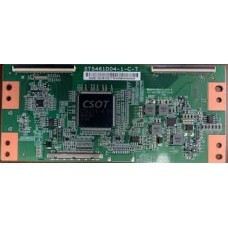 100% FUNCTIONAL.TCL 342911003613 T-Con BoardCOMPATIBLE MODEL..
USED: REMOVED FROM A CRACKED SCREEN TV. 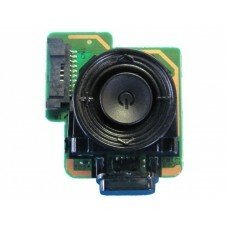 100% FUNCTIONAL.TCL 40-40F380-IRD2LG IR Remote SensorCOMPATI..
USED: REMOVED FROM A CRACKED SCREEN TV. 100% FUNCTIONAL. 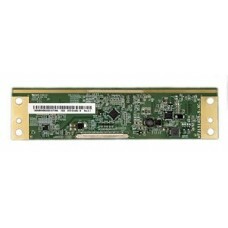 TCL 40FD2700 40FS3850 40FS3800 32B280..
USED: REMOVED FROM A CRACKED SCREEN TV. 100% FUNCTIONAL. 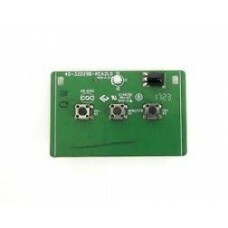 TCL 55S403 IR Sensor Board / Button Boa..
USED: REMOVED FROM A CRACKED SCREEN TV. 100% FUNCTIONAL. 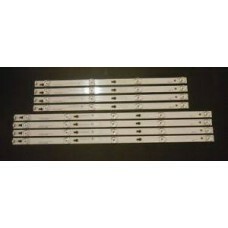 TCL 55S403 LED Strips (8) YHF-4C-LB5505..
USED: REMOVED FROM A CRACKED SCREEN TV. 100% FUNCTIONAL. 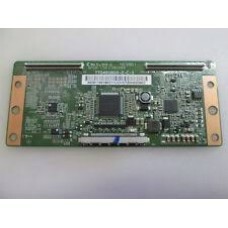 TCL 55S403 Main Board V8-ST10K01 COM..
USED: REMOVED FROM A CRACKED SCREEN TV. 100% FUNCTIONAL. 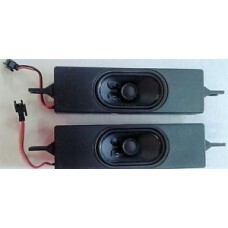 TCL 55S403 TV Speaker Set 42-WDF413-XX6..
USED: REMOVED FROM A CRACKED SCREEN TV. 100% FUNCTIONAL. 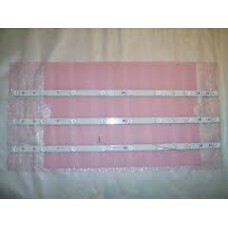 TCL 68-32D27L-000 68-32D27R-000 Stand ..
USED: REMOVED FROM A CRACKED SCREEN TV. 100% FUNCTIONAL. 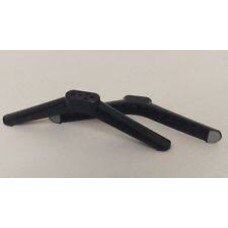 TCL 68-32D290 Stand Base For 32S301 ..
USED: REMOVED FROM A CRACKED SCREEN TV. 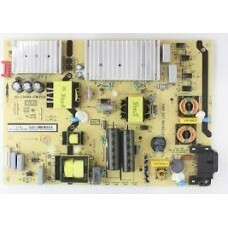 100% FUNCTIONAL.TCL Main Board / Power Supply for 32S3750 (3..
USED: REMOVED FROM A CRACKED SCREEN TV. 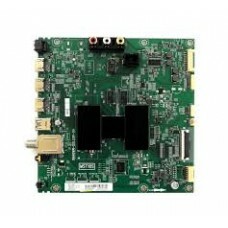 100% FUNCTIONAL.TCL T8-43NAGA-MA1 Main Board for 55S405TBCAC..
USED: REMOVED FROM A CRACKED SCREEN TV. 100% FUNCTIONAL. 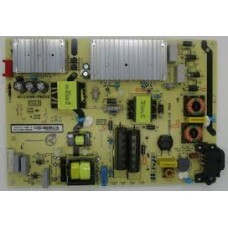 TCL TV 32S301 Main Board T8-28NA3R-MA1..
USED: REMOVED FROM A CRACKED SCREEN TV. 100% FUNCTIONAL. 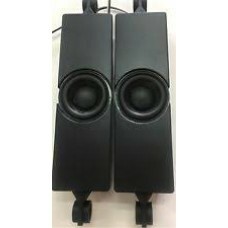 TCL TV SPEAKERS SET 42-WDF413-XX3G&nbs..